The Holon Platform release 5.2.6 has just been published. This release fixes some bugs and provide external dependencies updates. Furthermore, some minor new features were introduced in the Holon Platform Core module and in the Holon Platform Vaadin Flow module. See https://github.com/holon-platform/platform/releases/tag/5.2.6 for the complete list of changes. As usual, all the platform artifacts are available from Maven Central. The Holon Platform release 5.2.2 has just been published. Furthermore, some minor new features were introduced in the Holon Platform Vaadin Flow module. See https://github.com/holon-platform/platform/releases/tag/5.2.2 for the complete list of changes. On behalf of the team, it is my very great pleasure to announce that the Holon Platform version 5.2 is now generally available from Maven Central. The Holon Reactor module, which provides reactive support for some of the core platform APIs (such as Datastore and RestClient) using the Project Reactor APIs. The Holon MongoDB Datastore module, which provides a MongoDB Datastore API implemetation, including support for asynchronous and reactive programming models. The Holon Vaadin Flow module, which represents the platform support for the Vaadin Flow (10+) web applications platform, focusing on UI components, navigation and data binding features. See Modules to learn about all the available platform modules. Technology updates: Spring 5, Spring Boot 2, JAX-RS 2.1, Swagger/OpenAPI 3, JPA 2.2. Support for asynchronous and reactive programming for some of the core platform APIs, such as Datastore and RestClient. A better support for the JDK 9+ module system, providing automatic module names for each artifact included in the Holon Platform. 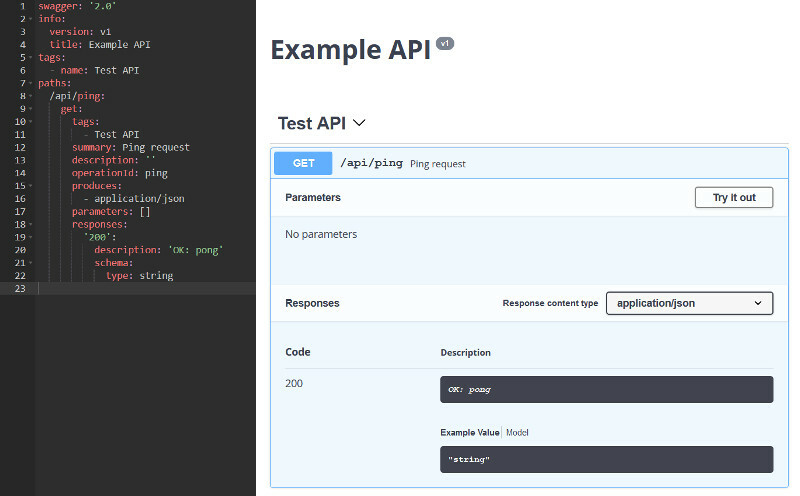 Furthermore, many API enhancements and new features are included in this release, along with performance optimizations and improved API extensibility. The public Java API is fully compatible with the previous versions, for a seamless migration from version 5.1.x and 5.0.x. See What’s new in version 5.2 for a complete list of changes. As always, we are happy to receive any feedback or suggestion! We are always open to the community: don’t hesitate to open issues and pull request on GitHub. So don’t wait any longer and start from here with the new platform version. Technology updates and alignment to the most recent updates of the libraries with which the platform provides integration: for example Spring 5, Spring Boot 2, JAX-RS 2.1, Swagger/OpenAPI 3. A complete support for asynchronous and reactive programming, including integration with RxJava and Project Reactor. A new MongoDB Datastore, the first Datastore API implementation for the NoSQL world, with asynchronous and reactive support for data access and manipulation using the Holon Platform Property model. A new Vaadin Flow UI module, to use the new Vaadin 10 web applications framework with an API consistent with the current Holon Platform Vaadin 7 and 8 modules. This will allow a quite seamless migration of the web applications based on the previous Vaadin versions, created using the Holon Platform Vaadin module API. 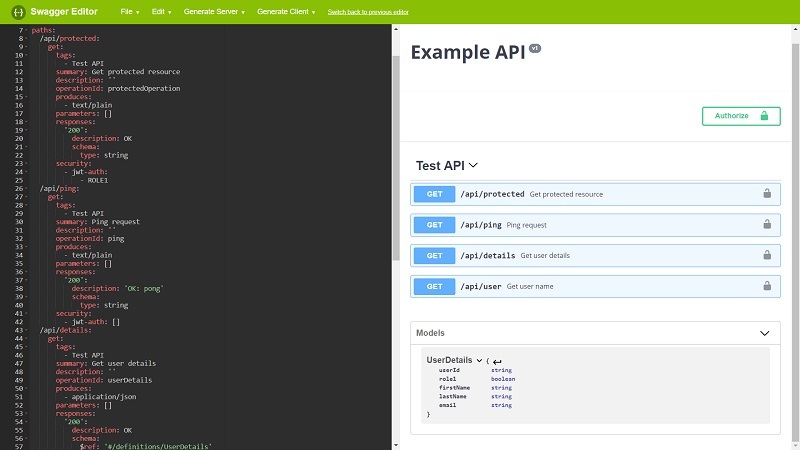 Many API enhancements and new features, along with performance optimizations and improved API extensibility. The official 5.2 release is expected for the end of September 2018. But in the meantime, you can download the first alpha release, named 5.2.0-alpha1, which is now available as developers preview and for testing purposes. All the artifacts are available from Maven Central. You can find the complete list of changes on GitHub. The alpha1 release of the documentation is also available. As always, we are happy to receive any feedback or suggestion! Furthermore, we are always open to the community, so don’t hesitate to open issues and pull request on GitHub. All the Holon Platform repositories have instructions on how to contribute. Stay tuned on the blog to learn about the next 5.2 release line steps! The Holon Platform release 5.1.4 has just been published. The ItemListing builder API now provides methods to easily setup the column headers caption using HTML markup. See the updated documentation section. The PropertyListing builder API makes available methods to configure the default listing columns display positions using declarations such as “display as first” or “display before/after another column”. This can be useful in many situations to avoid the explicit column ordering specification of the whole property set. See this documentation section for details. It’s now easier and quicker adding virtual (or “generated”) columns to a PropertyListing component, using the new builder API methods, which allow to declare the property value provider function and to configure the column before adding it to the listing. See the documentation to learn more. See https://github.com/holon-platform/platform/releases/tag/5.1.4 for the complete list of changes. The Holon Platform release 5.1.2 has just been published. This is a maintenance release to fix some bugs and provide external dependencies updates. If you use the TenantScope, we recommend to update the Holon Platform to this release, which solves a bug related to the Spring scoped target beans. Furthermore, some minor enhancements were introduced to the JWT support API, for example the JWT nbf claim handling (see here) and a new JwtTokenParser API to obtain an Authentication instance from a JSON Web Token value. See https://github.com/holon-platform/platform/releases/tag/5.1.2 for the complete list of changes. On behalf of the team, it is my very great pleasure to announce that the Holon Platform version 5.1.0 is now generally available from Maven Central. Type-specific PathProperty APIs to easily deal with most common property data types in a more consistent way. Transactional operations support using the Datastore API. Full support for the java.time. * Date and Time API in all the suitable platform modules. A brand new Json API to easily deal with JSON serialization and deserialization in a library-independent way. Considerable performance improvements at many levels, especially for the Datastore API implementations. Improved extensibility at API level for some of the core platform architecture structures. Better integration with Spring and Spring Boot, including new integration features for Spring Security. Furthermore, a great deal of work has been done on the Holon Platform documentation, to make it even more complete, detailed and useful, providing a great number of code samples and cross-references to the core API sections. See What’s new in version 5.1 for the full list of changes and the detailed release notes. The public Java API is fully compatible with the previous versions, for a seamless migration from version 5.0.x. We’re working on next minor release of the Holon Platform, that is expected to be stable and generally available by the end of March. The release date was moved to April 20 to spend more time reviewing the documentation and providing more support material, such as tutorials and examples. Along with all the latest bug fixes, there is also a lot of useful features that made it to this milestone. As a minor release, the public Java API is fully compatible with the previous version, for a seamless migration with a minimal effort from version 5.0.0. Below is a list of the of the new and noteworthy features, listed by module. The PropertySet object now supports identifier properties declaration, which can be used to provide a virtual primary key to distinguish a PropertyBox instance from another, both at Java object level (equals and hashCode) and at persistence architecture level. The Property architecture was made even more flexible and extensible, providing configuration hooks for custom logic and introducing PathProperty extensions to easily deal with main property data types in a more consistent way. For example, the StringProperty interface can be used for String data type, the NumericProperty one for numeric types and so on. Performance improvements to the ExpressionResolver based architecture through smart caching strategies and a revision of the internal expression resolution logic. A deep revision of the Expression based architecture, which is the foundation, above all, of the Datastore API and the abstract query engine. This lead to a more consistent and extensible architecture, along with considerable performance improvements and a better foundation for future Datastore developments, including asynchronous and reactive implementations. Introduction of an high level transactional support for Datastore, allowing to manage transactions in a platform agnostic way, independently from the underlying persistence technology. A set of little improvements to the core Java API, to made it even more effective and easy to use. A bran new Json Java API to easily deal with JSON serialization and deserialization in a JSON provider independent way, with full Property and PropertyBox support. At the moment, the supported JSON provider are Jackson and Gson. An improved and consistent support for the java.time. * Date and Time API data types, including the support within a PropertyBox. Improved support for the java.time. * Date and Time API with JSON when a PropertyBox is used as data transfer object in JAX-RS endpoints. A better Spring Boot auto-configuration support for Jersey and Resteasy. The Swagger integration and auto-configuration is more extensible and configurable through Spring Boot properties. Complete and deep revision and rewriting of the internal SQL operations engine, which is now separated as an independent artifact from the core JDBC Datastore artifact. This lead to greater extensibility, a more consistent operation resolution strategy and remarkable performance improvements. Support of the the PropertySet identifier properties to detect the persistent entities primary keys avoiding additional database accesses. Improved extensibility by design, allowing to easily provide custom expressions and resolvers. Full support for Date and Time functions. Added the high level Transactional support. Improved configuration capabilities when the Spring Boot auto-configuration is used. Improved support for industry-standard vendors RDBMS, such as Oracle Database, Microsoft SQLServer, IBM DB2 and SAP HANA. Complete and deep revision and rewriting of the internal JPQL operations engine, to improve consistency and performances. Better support for generic entity beans. Better support for Apache OpenJPA and Datanucleus ORMs, along with the standard support for Hibernate and Eclipselink. Support for the PropertySet identifier properties to make more easy and quick to setup data bound UI objects. Full support of Vaadin version 8.3, including for example the @PushStateNavigation strategy for Navigator. Better support for bean based data bound UI objects, with new builders and a seamless Java API just like the Property based one. Support for drag and drop at Java API level. The reference manual will be updated to reflect the API changes and to document all new features. Detailed release notes and changelog will be provided when new release will be made available and published. Red Hat is the world’s leading provider of Open Source, enterprise IT solutions. We share the Red Hat’s mission to make the Open Source software a trusted and reliable asset for enterprise organizations, believing in the Open Source ecosystem as the most effective way to innovation. For this reason, we’re pleased to announce that the Holon Platform has been certified for the Red Hat JBoss Middleware and has been published in the Red Hat Certified Product Catalog. We intend to go on in the Red Hat partnership process, to achieve more certifications and provide our contribution to the Open Source growth in the enterprise world. Follow us to be informed about next steps. The Holon Platform release 5.0.6 has just been published. For example, new interfaces to build HttpRequest objects are provided for Servlet and JAX-RS requests, respectively in Core and JAX-RS modules. This allows to easily use the HTTP request messages for example to perform authentication operations using Holon’s message authenticators. Many additional features have been added to the Vaadin module, for example to use value converters with Input and Input groups/forms, to configure value change listeners and new fluent builders are provided to create TabSheet and Accordion UI components. See the Vaadin module closed issues for the full list of changes. See https://github.com/holon-platform/platform/releases/tag/5.0.6 for the complete list of changes. See modules to check for each Holon Platform module update. The fourth bug fix release of the Holon Platform has just been published. See https://github.com/holon-platform/platform/releases/tag/5.0.5 for the complete list of changes. This release introduces some minor features and fixes more bugs. See https://github.com/holon-platform/platform/releases/tag/5.0.4 for the complete list of changes. The third bug fix release of the Holon Platform has just been published. This release introduces some minor features and fixes more bugs. See https://github.com/holon-platform/platform/releases/tag/5.0.3 for the complete list of changes. See modules to check for each Holon Platform modules update. We love the Vaadin framework and we use it from years now to build an amazing and modern User Experience for our internal projects and products. But above all, we choosed Vaadin to build the UI of many web applications for one reason: simplicity. We share the values and objectives of the Vaadin fight for simplicity: focus on what matters the most, saving time which can be reemployed to create user value through better UX and features, and ensure freedom of choice, so that your choices are not limited by technologies, licensing or anything else. The Holon Platform Vaadin module takes a step further towards semplicity and productivity, providing a fluent API to build the application components and backend connectors and a complete integration with the Holon Platform architecture, such as the Property model, the Datastore API, the authentication, authorization and localization support. Furthermore, Spring and Spring Boot are supported out-of-the-box, to exploit Spring’s great feautures and services and forget about the most annoying configuration concerns. Check the full-stack web application tutorial to learn how to build a simple web application in minutes with Vaadin and the Holon Platform modules, using the Java language only. The fight for simplicity is just started, and we want to be part of it. Join us and get started with the Holon Platform! One of the Holon platform foundation concepts is the Property model, which can be used to represent a generic data model, abstracting away from data structure and persistence implementation details. The property model architecture is designed for maximum flexibility and versatility, so as not to limit its use to backend or data management application levels, but to make it a cross-cutting asset, to be seamlessy used in a multitude of situations and application or communication layers. Enable the use of a standard API to manage the data model, relying on the Property architecture abstractions, for example to query the data model or to transport data in the form of property values. Read the reference documentation to get all the information about the Property model and to explore the Holon Platform APIs which allow you to define and use it to the maximum of its potential. Or just start coding, following the property model tutorial and exploring the examples available on GitHub. We’re pleased to announce the first public, Open Source release of the Holon Platform: a complete and versatile Java ecosystem to build high quality, enterprise-grade web services and full-stack applications. So don’t wait any longer and get started with the Holon Platform!